Baltimore County Officer Amy Caprio was killed after responding to a call about a suspicious vehicle in the Perry Hall area. Four teens have been arrested and charged with first-degree murder. One suspect told police he was in a vehicle as others burglarized a home, documents say. Three more teens have been charged as adults with first-degree murder in the death of a Maryland police officer, authorities say. Darrell Jaymar Ward, 15; Derrick Eugene Matthews, 16, and Eugene Robert Genius IV, 17, are charged in the killing of Officer Amy Caprio, Baltimore County State's Attorney Scott Shellenberger said. The three were scheduled to appear at bail hearings Wednesday. A fourth suspect, 16-year-old Dawnta Anthony Harris, is also charged with first-degree murder and is being held without bond. The Associated Press does not ordinarily identify underage suspects unless they face adult charges. Authorities say Caprio, 29, was fatally run down by a stolen Jeep on Monday after responding to a report of a suspicious vehicle in the Perry Hall area. Harris, who was arrested near where a Jeep was found abandoned, told a detective he had been waiting in the driver's seat of the vehicle as associates of his were in the process of committing a burglary, according to a probable cause statement. Harris also told the detective that he "drove at the officer," the statement said. The records don't list an attorney for Harris, and attempts to contact people believed to be his family members were not successful. Sources told News4 the teen had a juvenile record of car theft. The officer's death stunned the quiet, residential neighborhood, said Baltimore County Councilman David Marks, who lives nearby. 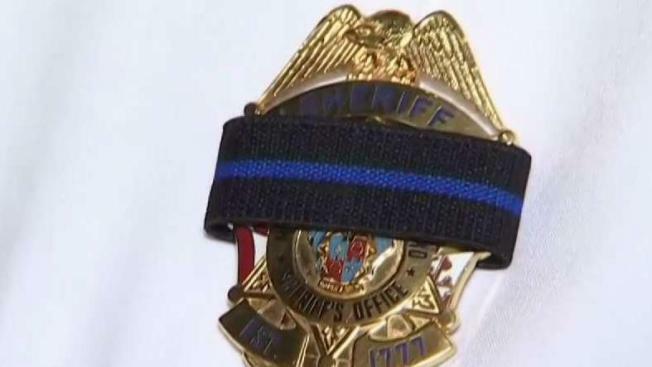 "The community I represent stands united in grief for this fallen police officer, and our hope is that all those involved are brought to justice," Marks said. Gov. Larry Hogan ordered U.S. and Maryland flags to be flown at half-staff in Caprio's honor when she is laid to rest. "We are heartbroken to lose a member of Maryland's law enforcement family," Hogan said in a statement. "She bravely made the ultimate sacrifice for the safety and security of our citizens, and we all owe her a debt of gratitude for her selfless service." "The State of Maryland continues to stand beside Baltimore County as they work to bring those responsible for Officer Caprio’s death to justice," he continued. On Tuesday, officials said body camera footage shows Caprio was standing in the street when the vehicle headed toward her. She fired her gun once and then was hit by the Jeep. Events began unfolding Monday afternoon in the leafy neighborhood of single-family homes. It was then that resident Dahle Amendt said he had just settled into his recliner for a rest when he heard a woman's voice outside his house. "I heard, 'Get out of the car! Get out of the car! Get out of the car!' at least three times, and then a pop," Amendt said. Amendt said his wife also ran outside and tried to revive the officer, who police say would have been on the force four years in July. "This is a shock. It's a quiet community. It's just so sad," Amendt said. The front entrance of the precinct where Caprio served was draped in black on Tuesday. On the street where she was run down, people laid flowers in her memory.